I almost always get my caffeine fix from a nearby coffee shop on my way to work. But after looking at how much I spend for my daily cup of cappuccino, I became a little concerned. My $3 cup of coffee everyday was costing me roughly $90 a month. That’s over a thousand dollars a year! After spending some time thinking about how I could better spend that money, I decided to get a coffee machine and a decent bag of coffee beans. But no matter what I do, I couldn’t get my homemade coffee to taste as great as the one from the coffee shop. Then I realized, I was just adding milk straight from the carton. I knew that the fancy coffee machine that shops use have milk steamer / foamer built in. I thought that if I added foamed or steamed milk to my brew, I’d finally be able to make a cup of cappuccino that will be as good as the one served at my favorite coffee shop. The hunt for the perfect milk steamer and frother began. How Does The Best Milk Frother Enhance Your Coffee Experience? Milk goes so well with coffee because it adds a layer, literally and figuratively, of complexity that compliments the natural bright and nutty, sometimes fruity, coffee flavors. It adds a profile that highlights the roasted notes of the brew, making it seem richer. All this is thanks to the chemical composition of milk. 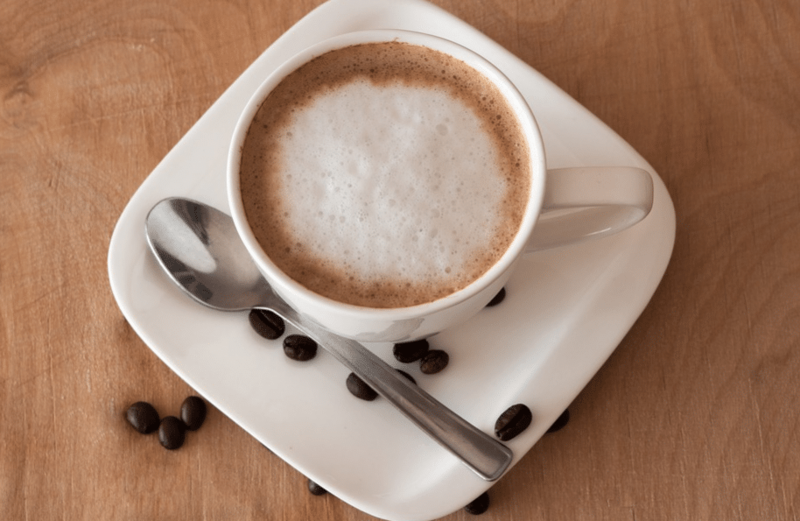 The sugar, protein, and fats help develop the texture and taste that people love in their milk-laden coffee drink. The sugar in milk adds sweetness to the brew. It counteracts the natural bitterness of coffee. The protein allows the milk to hold air giving the drink a light body. Finally, the fat, when heated, melts to create that velvety mouthfeel and appearance that you cannot normally get by just adding cold milk or cream to your cup of coffee. Plus, with the steamed milk poured expertly, the design adds something extra to the coffee that you are about to enjoy. This is why it is not enough to get those small wands that foams milk up when you want to add it to your cappuccino. What that does is it just incorporates air into the milk. It doesn’t change its composition through heating. Some people commented that you can just heat your milk in the microwave or over the stove burner until you achieve the sweetness that you want and then stir it with the frother wand. You can also froth the heated milk using a French press. But do you really want to wash all those extra pans, cups, and containers just to get steamed and frothed milk? Wouldn’t it be so much simpler to use a steamer instead? Let’s look at some models of milk steamer and frother that you can buy to make your morning drink a little extra. This first milk steamer I got to try was the VAVA electric milk steamer. It is manufactured under the VAVA brand which was established in 2015. Their products were primarily audio devices like Bluetooth speakers. In 2017, they expanded their line to include other products like dash cameras, baby night lights, and milk frothers for coffee. VAVA aims to use the latest technology to make products that “make life simple again”. The first thing that I noticed about this milk steamer for coffee is its sleek design. It looked like a cool coffee tumbler. It even has an ergonomic curved shape to make it easier to hold so you can grip the container properly when you pour the frothed milk. Its modern black look will go well with any contemporary kitchen theme and can easily pair with a black coffee maker. Besides the sleek design, the VAVA Electric Milk Steamer is also very compact. It has a dimension of 6.14 by 7.28 inches. It is perfect for small kitchens. You can even bring it with you to the office and keep it in your desk if you want to have delicious coffee during work. It is something that people in your office would want to have at the pantry. If you lift it up, you will notice that it has non-slip grips at the bottom. Plus, it is sturdy and feels like the manufacturer used good quality materials to make it. 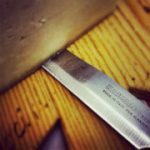 This is an extra feature that is helpful for people who tend to knock things down from their counters. 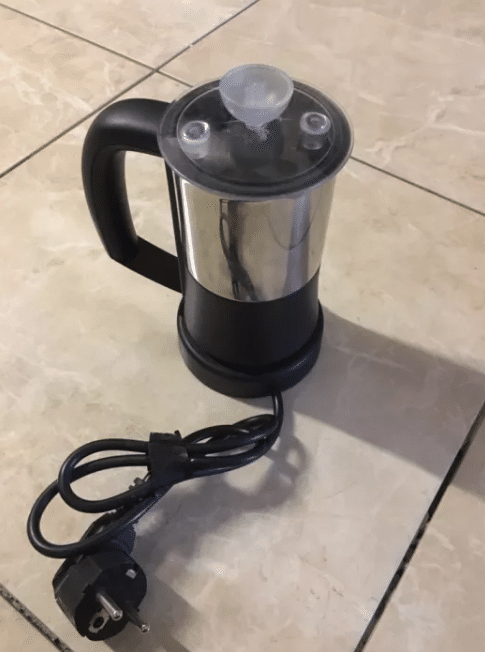 You can use this portable milk steamer and frother for both cold, warm, or hot milk. You can also use it with other types of milk like coconut, soya, or almond. Some users claim that the more fat there is in the milk that you use, the better results you can get. You can fill it with 115 ml of milk if you want super dense foam. You only need to run it for 2 mins to get the frothy milk for your cappuccinos. If you only want to heat the milk without frothing, it is big enough to hold 240 ml of milk and should take about 3.5 minutes. After being delivered, you just need to clean the milk steamer and the whisk by washing it in water. By the way, the box comes with additional whisks so you can create a variety of foam textures to perfectly go with your various coffee drinks. They also come in handy just in case you break or lose one, you still have a replacement. You may use a little mild detergent to ensure that it is clean enough. Let it dry for a while and you can already start using it to steam or froth milk. Place the whisk of your choice in its place at the bottom of the chamber before pouring in the milk. There are two kinds of whisk. One is the heating whisk; the other is just the frothing whisk. There are notches inside the container to let you know how much liquid you need to fill it in order to produce foamy milk or just to heat the milk. Fill the chamber up to the required amount. The great thing about the VAVA milk steamer and frother is that it comes with four different settings to match any of your coffee drinks. You can choose hot dense foam, hot airy foam, plain hot milk, and cold milk froth. You can also simply choose to heat your milk for lattes. How do you know which foam setting is in place? The first press of the button will cause the indicator to light up in red. This means it will both froth and heat the milk into a densely textured foam. Two presses on the button will make the indicator light up in red but, this time, will only froth and heat the milk to a light, fluffy foam. Three presses on the button will still make the light go red but will simply heat the milk. Finally, four presses will make the indicator light up in blue. This setting will froth the milk cold. 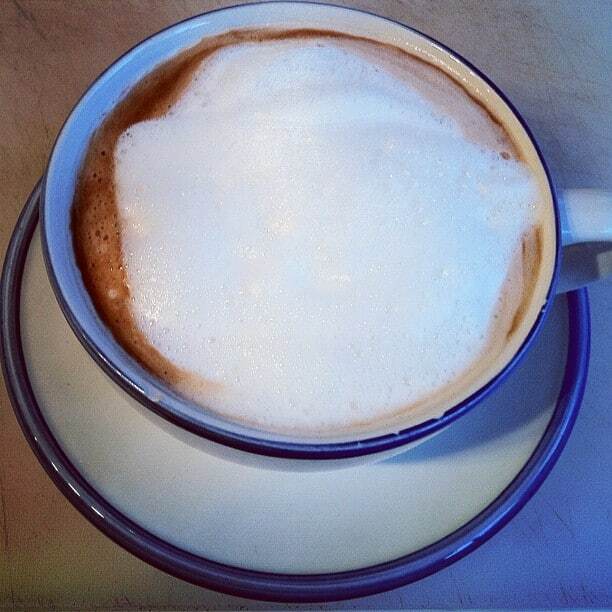 It takes the milk steamer and frother less than 4 minutes to froth the milk to the perfect foamy consistency. You will notice that the steamer works really quietly. One minor problem with the design is that the frother doesn’t have a spout to make it easy to pour the milk out onto the cup without spilling. It is a little understandable because you would probably need to spoon out the foam instead of actually pour. Some people worry about scorching their milk or burning it should they forget to switch the steamer off. That will not be a problem with the VAVA milk steamer because it is equipped with the Strix temperature controller. This automatically switches the steamer off when the milk is ready. 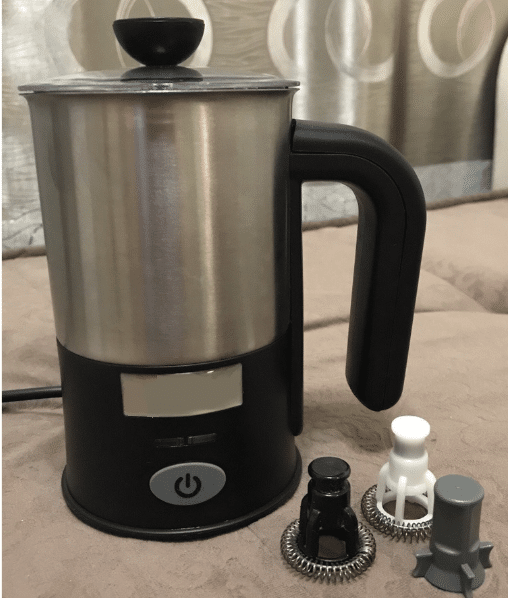 Once you have poured out all the steamed milk, you can easily wash the milk steamer and frother by detaching it from the power base. You can use a small brush to get into the nooks of the small whisks and then simply wash out the inner part of the frother. Again, you can use a mild detergent to ensure proper cleaning. The double wall design and non-stick interior makes it extra easy for the milk residue to be washed away. One thing that people who bought this product are raving about is the impeccable customer service provided by VAVA. They replace items that are defective plus they even provide full refund for items that were shipped out though they are lacking parts. It is not surprising that the VAVA milk steamer and frother received such high marks. Some might say that it is expensive because it costs more than most regular coffee makers. But with its ability to steam and froth milk, it sure beats buying an expensive espresso machine that comes with a steam wand. Another combination steamer and frother that I looked at is the Chinya Automatic Milk Steamer and Frother. It is a multi-function milk frother that can be used to make milk foam for both hot and cold drinks. If you are a newbie in the frothing experience, you will learn that you need different temperature for milk foam for different coffee drinks. Having this option in a milk frother will allow you to experiment with more types of coffee drinks. When the Chinya milk steamer and frother gets delivered, you will notice that it has five parts. There’s the power base where you place the milk frother. 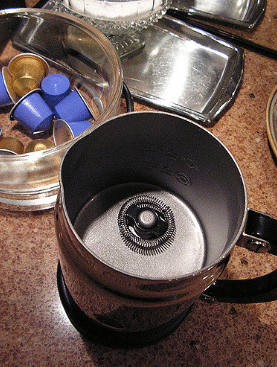 The lid and the frother is there. There are two whisks. One goes on the lid and makes a little froth. The other goes on the bottom of the frother and makes a lot of foam. It is best to give all the parts a good wash before using the frother for the first time. Don’t wash the power base. That only takes a few wipes of a slightly damp cloth to clean. It also comes with a handy instruction guide but a lot of posts claim that it is hard to understand. Confused users turned to the guide when they couldn’t make their frother work but they came away even more confused. Using this home milk steamer is pretty straightforward. Once it is clean, all you have to do is snap on the whisk of your choice then fill the frother with milk. A lot of people suggest that you use cold milk to begin with because it froths better. Just like the VAVA milk steamer, this one has indicators inside the frother. The first one shows the minimum amount of milk you can put for frothing. This is about 150 ml of milk. The next notch is for the milk level if you simply want to heat the milk. The maximum level is about 300 ml. This is more milk than the other frothers are capable of holding. This makes the Chinya model a better choice for office use because it can serve more. The next step is to snap on the lid. The lid has a silicone seal so it is leak proof. We don’t want milk spilling out of the frother once it starts becoming foamy. There are two buttons to choose from. One indicates wavy lines and lights up orange when pressed. This indicates that the frother is steaming the milk. The other button has a snowflake on it and lights up blue. This means you are using the cold froth option. Cold froth is best for iced coffee drinks. The machine runs very quietly. It also goes very quickly. In one minute, the milk gets turned into a foamy, sweet topper for your cappuccino. 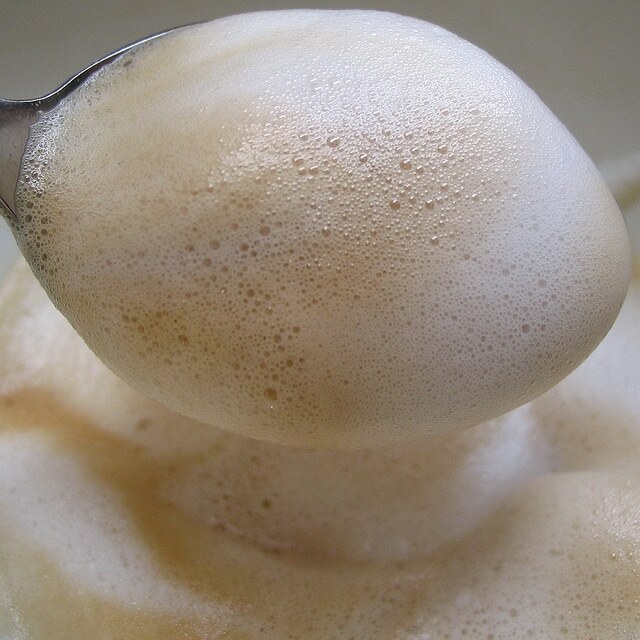 The foam that is created by this particular steamer and frother is very dense. You won’t be able to pour it out. Some people suggest that you use a wooden spoon to get the froth out just to avoid scraping the inside of the container. Unlike in other steamers where you can control the density of the milk foam, this one only produces really thick foam. Some people have mentioned that their milk turned out a little “crusty”. This may be a malfunction of the heating element. Some units were reported to get too hot that they burn the milk in the container. There are several reports that the steamer function for this is not as good as the other brands. It can only heat milk up to lukewarm temperatures. This is the reason why their foam vanishes when they mix it into their coffee. Milk needs to be really heated well before it is frothed by the whisk in order for the foam to stay intact until even after you finish drinking your coffee. This heating issue is a problem for those who want to really almost scald their milk to be able to properly release the sugars and form long-lasting foam. If you only want frothy milk, or if you only drink cold coffee concoctions this shouldn’t be a huge problem for you. Clean up is easy for this brand. You just take it off the power base and wash the frother with soap and water. Be careful when you rinse as you don’t want water to get into the slot for the power base. It comes with a free cleaning brush that you can use to scrub the whisks. Be careful in scrubbing the inside of the frother as the non-stick coating can come off. If possible, do not use anything abrasive to prevent scratching this surface. The stainless-steel exterior of the frother is easy to clean but forms water stains quickly too. This is one complaint a few users have posted about this machine. Water stains on stainless steel is pretty easy to get rid of. All you need to do is sprinkle a small amount of baking soda on the stained spots and scrub it off with a damp cloth. 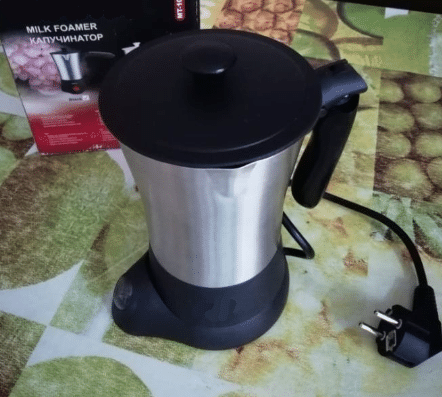 For a simple milk steamer for coffee drinks, the price of the Chinya Automatic Milk Steamer and Frother is a little pricey. The main concern is the durability of the product. For that price, it should at least last for a year or two. However, there are some posts that their milk steamer only worked for a few weeks to several months before giving out. Luckily, customer service for the brand is really responsive and they quickly send out replacements for malfunctioning units. However, if each unit only lasts for several months, it might be better investing in some other brand. Note that the return window for some products such as this is only 30 days. It might be advisable to get an extended warranty on this just in case you get a unit that is not as durable as the others. 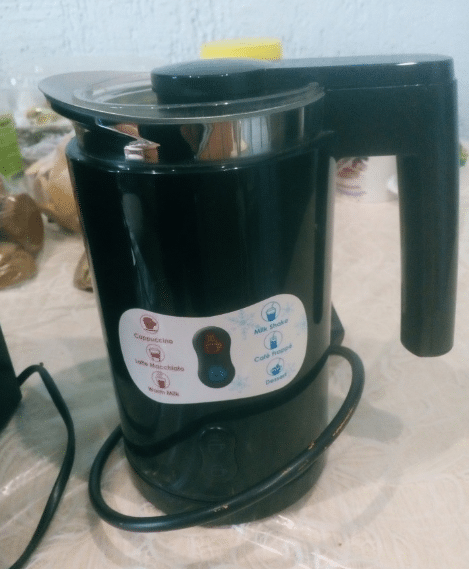 Betitay is a trademark of Dongguan Fenghaijin Electric Appliance Co. and is known for making small kitchen appliances such as milkshake maker, stand mixer, electric meat grinder, and juicers. They also have a line of coffee grinders, brewers, percolators, and hot milk heater. They promise to “make life healthier and more beautiful”. 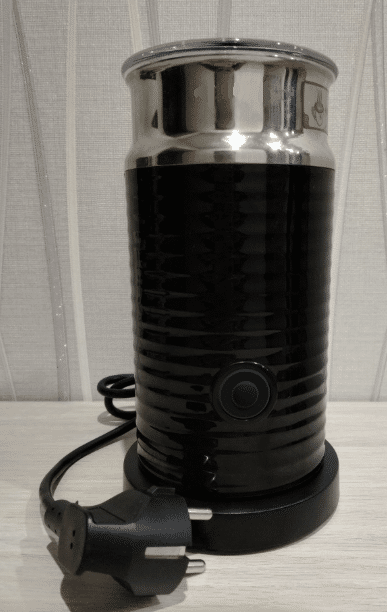 This electric steam milk machine looks very similar to the Chinya model. It comes in a sleek, stainless-steel pitcher type design that would go with many contemporary kitchens. It is smaller though and would take up very little counter space. It is lightweight too so you can bring it with you outside if you prefer having your coffee on the porch or in the garden. It has a smaller capacity than the Chinya model though. It has a 240 ml maximum capacity for just milk warming. It can hold 115 to 120 ml of milk if you plan on frothing it. It also comes with two types of disc or whisk. You use the small whisk for when you only want to heat milk for your lattes or flat whites. You use the bigger whisk to froth the milk for cappuccinos and other milk-topped coffee drinks. If the whisk is not in use, you can attach it to the lid for safekeeping. Some individuals suggest that you keep the extra whisks in a separate container so you won’t have to wash them even if you don’t use them. This frother works quickly and quietly. It only takes a minute to whisk cold froth and an extra 30 seconds for it to heat and froth milk. It is extremely simple to use. Just attach the whisk that you want to use, fill the container with milk up to the indicated level, then press the button of your desired frothing function. After less than two minutes, you can pour foamy milk onto your coffee drink. Be careful in handling this hot milk steamer as the exterior can get really hot. Make sure that your hand comes into contact with only the non-slip handle so you don’t get it burned. Just like the other models, this frother doesn’t have a pouring spout. Since the foam is very stick, you’d be better served spooning it out. Remember to use a wooden spoon to avoid scratching the non-stick interior. The frother detaches from the power base so it can be washed in the sink. Unfortunately, it is not dishwasher friendly like the other steamers that we have already looked at. The unit comes with a free brush but most users skip using it as the edge of the brush scrapes the interior coating of the frother. Speaking of the coating, there are some reports claiming that they same some of the coating peel off and mix with the frothed milk. This is why you shouldn’t use anything abrasive in cleaning the product. If you must scrub the inside, use a non-abrasive foam. Betitay also makes use of the Strix connector for the milk frother. This means it can sense if the milk is too hot and automatically switches the machine off. It is designed to avoid overheating the milk. This is why it is surprising to read some posts that their milk got burned that it formed crusts at the bottom. It is important to note that scalding only happens for some unit and may be a production defect. So be sure to observe your milk steamer closely during its first few uses. If you notice milk crusts inside after frothing, it means you got one of the defective units. Contact the customer service number so you can have it replaced. Just like the Chinya frother, this brand has received several complaints regarding durability. Some say their frother only worked for a couple of weeks while others claim that theirs lasted for a few months before completely stopping to work. Luckily, the manufacturer offers one-year warranty for their product. Most posters commented that the customer service offered by the manufacturer is adequate but they wouldn’t replace anything if the return window is already reached. Another common post comments on the vacuum insulation. When the frother gets filled with milk foam, the lid tends to pop off and spill milk everywhere. It could happen if you overfill the frother that it cannot hold in the foam anymore. This occurs even if you follow the indicator on the interior of the frother. Milk varies in foaming ability depending on the amount of fat in it. It may take a few tries, and a few mop-ups, before you can determine the perfect amount of milk to use for every cycle. Even then, the variation in temperature can also change the volume of foam that is created. It is advisable to just be vigilant and keep watch of your steamer as it froths the milk. Once you notice that the milk has already reached the lid, be ready to switch it off. This last hot milk steamer that we will look at today is the Chef’s Star Automatic Milk Frother. The brand was founded in 2007 and focused on manufacturing quality kitchen gadgets. 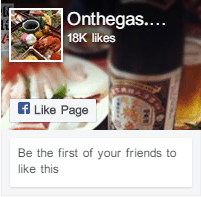 They put emphasis on “quality” in every product that they produced. Let’s see if this is true for their milk frother too. The housing of the frother is made from quality stainless steel. It also features a double wall design to keep the milk heated for a longer time. It looks very similar to the other two stainless-steel frothers that we viewed – the Chinya and the Betitay models. However, this frother feels heavier and the material looks better. 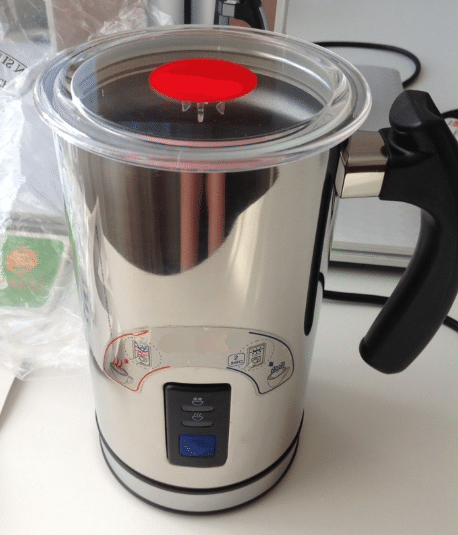 The stainless-steel is thicker and the lid is made of non-porous plastic. This non-porous plastic lid is so much better than the lids used by the other models because it keeps milk out. Small “pores” on the plastic can become breeding ground for germs that could end up in your coffee cup if you are not too careful. The product consists of the power base, the frother, two types of whisks, and a lid. After an initial washing, the frother can already be put to use. Before pouring in the milk, you need to choose which whisk to use. The smaller option is used for heating milk, it is there not to make foam but to distribute the heat from the bottom better. The bigger whisk is for frothing the milk. You can pour in 125 ml of milk if you mean to froth it. 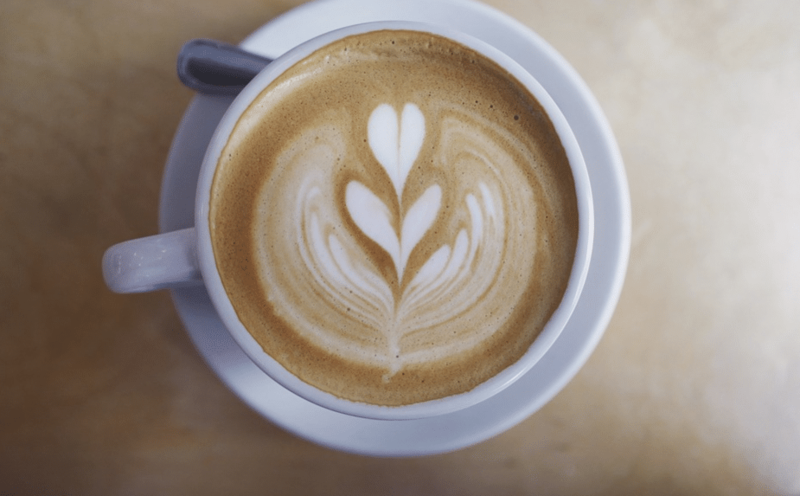 For lattes, you can heat as much as 250 ml of milk. It is designed to froth dairy but users claim that it also works for nut milks like almond and soya. Be sure to only put enough milk. Putting too little can leave the container dry during the heating process and destroy the non-stick coating. Putting too much will result to too much foam and can lead to the frother overflowing. This would result to an eruption of milk when the lid finally pops off. You don’t want to be cleaning your surfaces so early in the morning just because you put too much milk into the steamer. You might have to experiment a few times to get the optimum amount of milk to use particularly if you choose nut milks instead of dairy. Unlike the other two, this one only has one button. This means you will always have hot milk foam. It works really quickly and quietly. It can turn cold milk to hot frothed milk in 80 seconds. This is best for making not just cappuccinos and lattes but hot chocolate drinks too. It has non-stick coating in the frother’s interior. This prevents the milk from sticking on the surface and makes clean up a breeze in theory. Once you are done using the machine, just detach the frother from the power base and remove the whisk. You can scrub the whisk using a brush. As for the interior, use only a soft foam and mild detergent to scrub away any residue. Scrubbing too hard may result to peeling of the non-stick element. The problem is that most units have a tendency to scorch the milk so the hardened milk residue becomes difficult to remove. And you can’t soak the product since it will destroy the part that connects to the power base. You just have to be patient and continue scrubbing the interior gently until all milk residue disappears. Or, as one consumer does, fill the container with water and let it sit while you enjoy your cup of coffee. Once you’re done drinking, the milk residue would be soft enough to pour out and scrub off with the soft foam. There are a lot of posts talking about how short the lifespan of this product is. While some got to use it for over 6 months, most complaints claim that they only got to use it for 3 to 4 months before giving out. What’s worse is they find it difficult to get the product replaced as the manufacturer is unresponsive to complaints. It is reasonable for a milk frother that has no extra features. Paying that amount may be worth it to people who are sick of paying too much for higher-end milk steamers that also stop working after a few years. 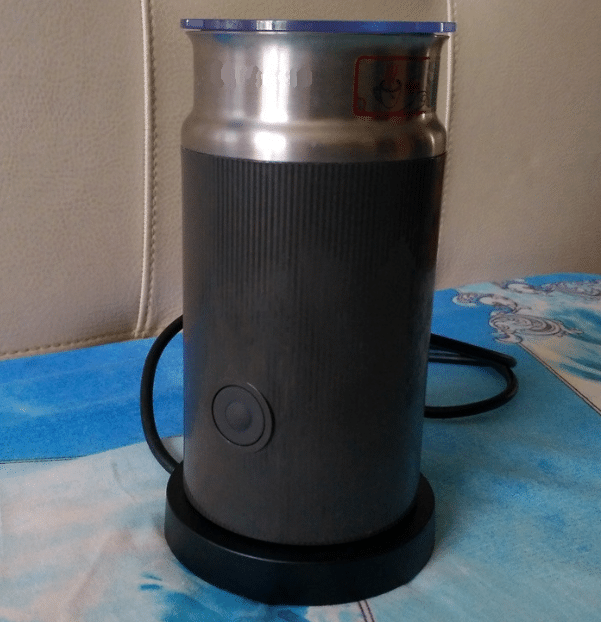 Other than the VAVA Electric Milk Steamer, all the remaining three looks and performs similarly. Here is a side-by-side comparison to make choosing the perfect steam milk machine a little easier. Weight 2 lbs. 2.25 lbs. 2.7 lbs. 2 lbs. 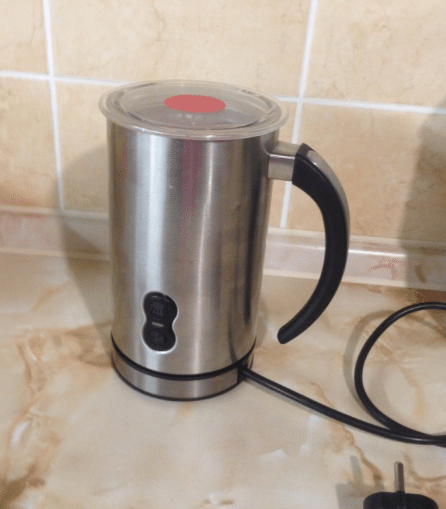 Conclusion – Which Electronic Milk Frother Will Work Best For You? Looking at the features, there are really only three contenders for the right milk steamer and frother for your coffee drinking needs. The VAVA Milk Steamer offers more types of foam so you can use it with more variants of coffee. You can choose whether you want the foam to be light and airy or heavy and dense. It can also be used for cold and hot milk. The sleek design that is so different from the other three doesn’t hurt its cause as well. The brushed steel look makes it appear luxurious. It is, however, the priciest of the four options. 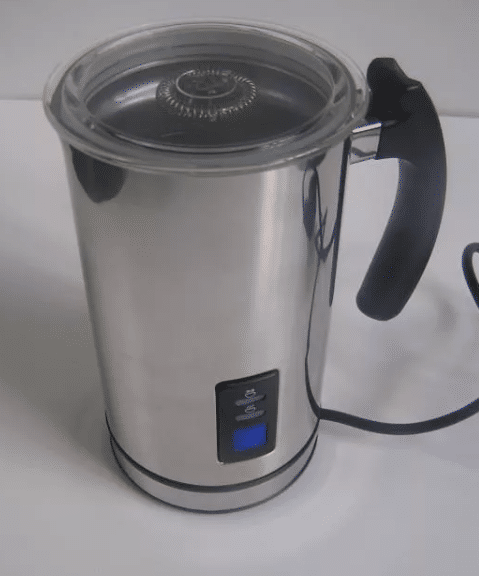 If you want a no-frill milk steamer that will not break easily and, should it break, offers good customer service, go for the Chinya Automatic Milk Steamer and Frother. It has the largest capacity and is more affordable too. While the Betitay offers almost the same features and is so much cheaper than the Chinya model, it is unavailable to date. Should it become available again, then it is a good choice for those who just want to enhance their coffee drinks but do not want to spend too much. The Chef’s Star model is second cheapest but it can only produce hot frothed milk. If you enjoy cold coffee drinks, this is not the frother for you. Again, as mentioned in the review above, if you do decide to go with the cheaper milk steamer, it might be a good idea to get extended warranty. You would want to be able to return the product should it stop working after 6 months.